Founded in 2013, Pyrotechnic Apps is a small team of dedicated tech experts who help entrepreneurs and SMEs bring their Mobile and Web App ideas to life. We can manage the whole project, bring in the right resources and transform your idea into a completed app, leaving you free to focus on developing your business. By working closely with our clients, we design, build and deliver simple and intuitive mobile apps that simplify the lives of your users. We’re not deliberately flashy, we don’t like jargon and we are big on simplicity. Give your customers the fun user experience they demand and we will give you scalable solutions to bring your mobile apps to life and help your business grow. 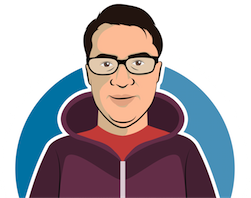 Andy began his Tech career in banking and finance, building enterprise systems, he rapidly gained a reputation for developing reliable, maintainable systems. A self-confessed tech nerd, he is also a hopeless tennis player, which led him to develop Best Tennis Score for Apple Watch™. iOS development: Focusing on Swift. Web Development: Focusing on PHP, MySQL, HTML and CSS. 20 years experience of enterprise IT systems design and build in Banking and Finance. Rahul has a broad knowledge of the Tech Sector, its trends and the marketplace in general. He has a gift for researching the best technology to use and making strategic recommendations. He even sold his TV so that he could spend more time researching ! He combines this deep technical knowledge with creative web design skills. Rahul is the calm, Zen element of the team, always keeping a clear perspective on things. 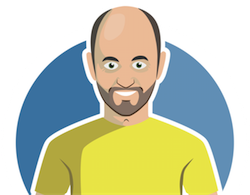 An expert in back-end development, Christoph loves complex and challenging programming tasks. He is a super trouble-shooter and a natural innovator, employing lateral thinking to bring the best out of the apps raw requirements. In a fickle world, the power of brand and graphic design can mean everything – and nobody knows that better than Vlad. Having worked as creative director with advertising firms all around the world, Vlad’s knows how to translate your Apps’ intent into a simple, eye-catching design. No matter how demanding the brief is, he often taunts us that we are never as difficult as his native Russian clients. Tech skills: Adobe ACE (certified expert), Photoshop, Illustrator, InDesign, UI layout in Unity 3D and Xcode. From standalone mobile apps to hosted web services, here are a few examples of the apps we have helped our clients bring to life. What: A clever little Coupon App, designed to help retailers boost footfall on the fly. We were approached by an entrepreneur who wanted a digital solution to help manage stock and resource levels in line with real-time demand. What: Think Uber® for private jets. We were asked to develop a premium-branded iPhone App and website for booking private jets. Time was of the essence as the idea came from a new start-up business wanting a working prototype app to take to an air show to attract investors. What: Property Management made easy. This is one of our own ideas, borne out of the frustration of never being able to reserve a parking space for visitors when you live in a residential housing complex. Flatty helps residents, managers and their staff communicate effectively about repairs, contacting the caretaker, sharing classified ads, local traffic news and of course, allocating parking spaces. We have now completed a successful six-month pilot with Flatty in a residential block, and we are looking for more test opportunities and investment for further development. 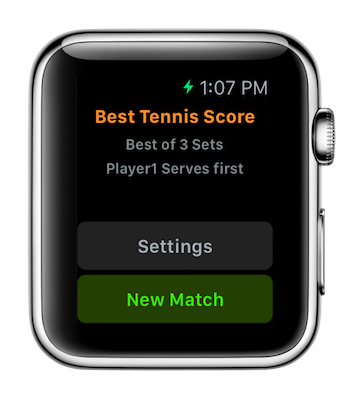 What: An Apple Watch™ app to keep score for you when you play tennis. Improve your knowledge of the game with your own wearable umpire on court. Designed for on Apple Watch™, Best Tennis Score keeps track of your tennis score so you can focus on those all-important rallies. Ideal for beginners learning to score and more serious players who don’t want to worry about who’s serve it is or be taken advantage of by unscrupulous opponebts ! Best Tennis Score uses the latest in wearable tech to give players their own umpire experience. If you’d like to know more about our work or to hire us to develop your app, we are always happy to give a hands-on demo of our existing apps. Please contact us via our support page . The price will depend on the size, number of features and complexity of the app to be developed. Our projects can start from the initial design phase on one platform for £2-4K. We can then help you navigate through the different stages including prototyping, functional testing and deployment up to a fully operational, all bells n’ whistles high performing app on web and mobile platforms for £15-40K. The most effective route to market is to invest in developing an app for the iPhone and iPad first. Once it is successful, many businesses will commission an equivalent Android App, to further open up the market opportunities. Want to find out more? Please contact us via our support page to discuss over email or arrange a free 30 minute consultation. 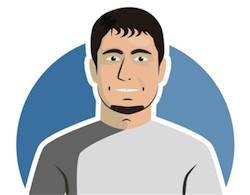 Swift for all new projects and Objective-C for some legacy projects. We are very excited about the Apple Watch and have an Apple Watch app already in the App Store and another in the pipeline. We use MySQL behind our web applicaitons and services. We also have SqlLite and Oracle skill. If you need helps with one of our apps, then please email us or visit our support page. We are located on the sunny side of Surbiton, South-West London. 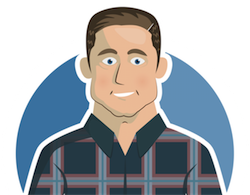 If you're looking to have an App written, for a Development Partner, or to outsource specific web/mobile app builds to an experienced, devoted team, then have a chat with us.